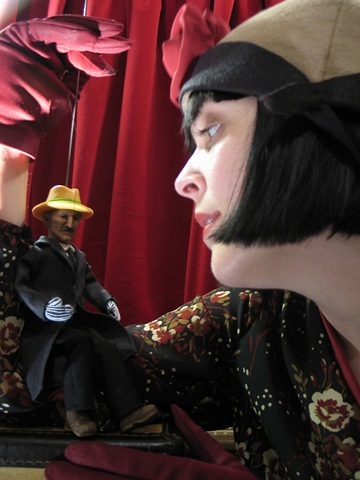 LIVINGSTON MANOR, NY (December 1, 2014) – The Catskill Art Society will present “The Snowflake Man,” an original puppet show by Sarah Frechette of PUPPETKABOB, at the CAS Arts Center at 48 Main Street, Livingston Manor, NY on Saturday, December 20 from 2:00 –3:00 p.m. Tickets are available for $10 suggested donation, reservations recommended. “The Snowflake Man” is a beautiful trunk show of Czech-style marionettes and props backed by a pop-up book of watercolor paintings telling the story of "Snowflake" Bentley. This utterly unique show by Sarah Frechette of PUPPETKABOB combines art with history and science thru live story-telling. This amazing true story was inspired by Wilson "Snowflake" Bentley, a self-educated farmer and scientist who in 1885 attracted world attention by adapting a bellows camera to a compound microscope – he became the first person to capture the image of a single snow crystal. 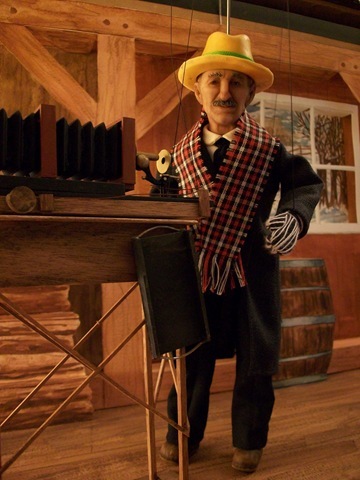 “The Snowflake Man” was awarded a 2011 UNIMA Citation of Excellence – the highest honor in puppetry. This show is sponsored in part by a Creation Grant from the Vermont Arts Council and the National Endowment for the Arts. 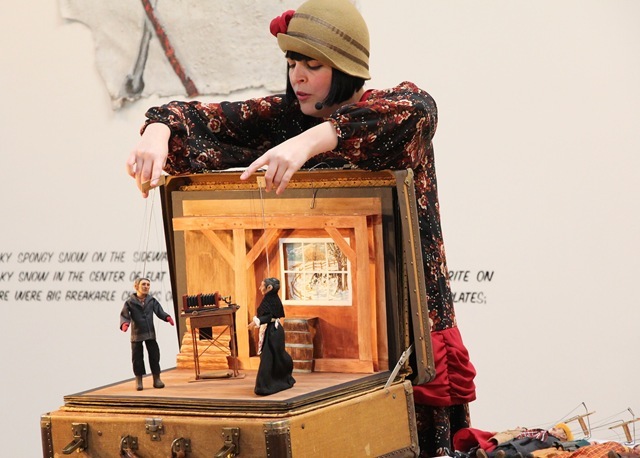 Sarah Frechette is an artist, puppeteer and founder of PUPPETKABOB, a puppet company that has toured nationally to schools, libraries, theaters, museums and festivals. She graduated from the University of Connecticut’s Puppetry Arts Program, mentored with German Master Puppeteer Albrecht Roser, and created costumes for the stop-motion film ParaNorman. Her solo production of “The Snowflake Man” which highlights photographer Snowflake Bentley, was awarded an UNIMA-USA Citation of Excellence. 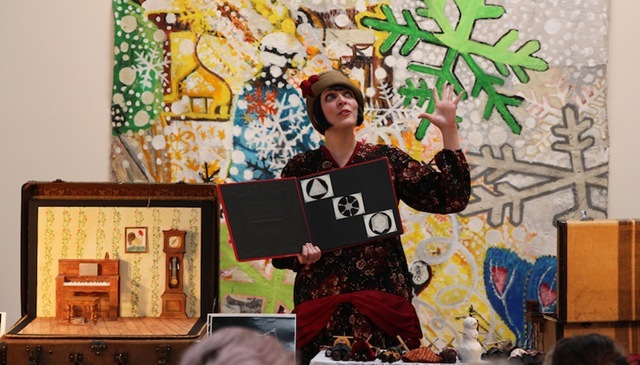 This past summer, Sarah performed this piece in the Diego Rivera Mural room at the Detroit Institute of Arts as part of Puppeteers Of America Regional Festival ~ MotorCity Puppet Blast. Sarah is excited to be performing in the Catskills as part of the Catskill Art Society’s winter series! Learn more about her at www.puppetkabob.com. Tickets available for a suggested donation of $10. Advance reservations are recommended as seating is limited. For reservations, call the CAS Arts Center at 845-436-4227 or email info@catskillartsociety.org.